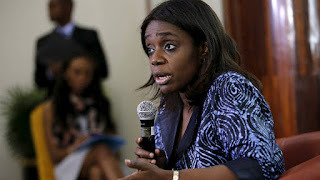 The is an indication that the insurance industry may embark on another round of recapitalisation as the Minister of Finance, Mrs. Kemi Adeosun, has stated the need for insurance industry operators to increase their capital base and create opportunity for partnership and other strategic alliances within the system. Adeosun, made the remark at the 2016 National Insurance Conference organised by the Insurance Industry Consultative Council (IICC) in Abuja. The minister urged the operators not to see recapitalisation as a punitive measure but an opportunity to reposition for the future. She also advised them to be ready to take risk, pointing out that they are in the business to bear risks of others. The minister, who stressed the need to address the issues responsible for underperformance of the industry, revealed she is currently working with the industry regulator to address the problem of premium discounting. “There is need to immediately address the issues responsible for the under-performance because a 0. 33 per cent increase in insurance penetration can result to a growth of 0.5 per cent in GDP”, she sated. According to her, the increment was capable of creating over 70,000 jobs annually. Noting that the industry was under-performing, compared to its pension and banking counterparts. Adeosun identified low awareness as one of the factors responsible for the under-performance of the sector, pointing out that out of 57 insurance companies in the country, less than 23 advertise their products. “The companies put in less than 20 adverts on television, less than 10 adverts on radio and less than 10 adverts on social media”. She listed other factors responsible abysmal performance of the industry as poor distribution channels and unethical practices among operators. “I’m working vigorously with the National Insurance Commission (NAICOM) to ensure that premium discounting is eliminated among practitioners."